I’ll be taking a long Christmas break with my family until January 4th. May your holidays be filled with great books, reading together, and plenty of love and food. Joey’s mother died in a fire a little more than a year ago, so when the new fire alarm system at his school starts to go off, it makes him jumpy. Finally, when the static combines with the alarm to garble the message from the office, Joey insists that his class has to leave the building. But no one listens to him except for his best friend Maureen. They are the only two in their class to survive the fire. Now Joey and Maureen are being accused of setting the fire by those who lost family members. Joey begins a journal to try to get some of the images out of his head, hoping that he can start to heal himself even as he struggles with the grief of an entire community. Shaw, author of The Boy from the Basement, writes spare, electric prose. She has an ability to take an overwhelming subject and tame it enough for readers to truly understand the emotional wreckage left behind. Joey and Maureen seem younger than high schoolers in this novel, something that makes them read as even more vulnerable and damaged. Joey is a fascinating lens to see the events through, as he battles the guilt and loneliness of being a survivor. Joey’s story is told with honesty and great strength. Highly recommended, this novel is a gripping and also thoughtful book about the consequences of small choices and the bravery it takes to survive them. Appropriate for ages 12-15. Through photographs taken at her animal shelter and rehab center in Germany, Askani explores friendships. The photographs are unusual pairings of animals from pigs and dogs to owls and squirrels. The book has one line of text per photo making it very child-friendly though the textual content never matches the quality of the photos. It is the photos and the afterward that is filled with details about the relationships of the animals that really make this book special. Children will page through it again and again, and even adults will want to share the image of the bunny sticking his tongue out at a hedgehog. OK, I want one for my office wall. Don’t let it’s cutesy cover and text fool you, this is a charming book with lots to offer. The book features wild animals as well as domesticated, making for some of the most intriguing photographs. Readers will ignore the text provided, and instead have conversations about the animals and friendships of their own. No one will miss the message that no matter how different we seem, we can be friends. Recommended for libraries where the photographs will easily get this into the hands of animal-loving children. This won’t work well for a story time, because the pleasure is in the end pages and the personal discussions, but children will love having a chance to pore over the pages and share their favorite images. Appropriate for ages 4-8. Explore the world of wondrous dragons that come in all sizes and colors. There are huge white dragons that fly through night skies, dragons that breathe flower petals not flame, and enormous dragons with tails as long as rivers that share cupcakes. There are also tiny dragons, dragons made of fire, dragons that whisper stories and songs in your ear, and dragons that curl around you in your bed. So the question is, with so many dragons what does yours look like? Morris has created a book that is a lyrical song in honor of individuality and imagination. Her dragons are all very different but all have curling talons and gleaming eyes in their combination of feline and lizard. Dragons here are not to be feared but adored as the illustrations show. The range of dragons from ice to water to fire and beyond is a delight to page through. This book is a great conversation starter or would serve as a wonderful basis for dragon art where children could draw their own dragon. My 8-year-old is often unwilling to indulge in the questions of picture books anymore, but this one really spoke to him. By the end, he had his own large dragon firmly in mind, a combination of all of the elements with all sorts of fire and ice breath and a deep blue-black color. He was also eager to look at the end pages of the book and select which of the eggs his dragon would emerge from. A book that is beautiful in its own right and one that also demands that children participate, dream and wish on their own as well. Appropriate for ages 4-8. Odd and the Frost Giants by Neil Gaiman, illustrated by Brett Helquist. Odd’s father died on a Viking ship, leaving Odd and his mother behind. A few weeks later, Odd tried to chop down a tree with his father’s axe and ended up shattering his leg. Now he still walks with a limp and is teased and mocked at home. Tempers are rising in the village because spring should have come but winter continues its hold on the land. Odd heads off to his father’s hunting lodge to escape the increasing teasing. There he meets three animals: an enormous bear, a fox and an eagle. The three turn out to be Norse gods who are trapped in animal form and banished from Asgard which has been invaded by Frost Giants. Can one limping boy and three animals get back into the land of Asgard, bring peace and return spring to the land? Neil Gaiman has written a small jewel of a book about an unexpected hero. It is a focused story told in a voice that is meant to be shared aloud. Odd is a pleasing character. A smart boy with a sad past who is braver and stronger than anyone knew. Gaiman’s language here is plain and simple, the story short and fast-moving. Yet at the same time this is not a shallow piece. It has heart and plenty of depth. The occasional illustrations by Brett Helquist add to its friendliness for young readers and offer tantalizing glimpses of Odd’s world. Any teacher doing a unit on mythology should add this book to your list. It will also be useful with reluctant readers who will enjoy the direct story and the fast pacing. Appropriate for ages 8-11, younger for reading aloud. This is a perfect book for cold winter nights. Reviewed by Tor, Charlotte’s Library, Eva’s Book Addiction, and Chasing Ray. 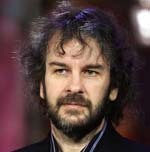 Mortal Engines and Peter Jackson? The Internet is rumbling with a rumor that director Peter Jackson will be adapting Philip Reeve’s Mortal Engine series for film. Jackson has yet to confirm or deny this, but what exciting news for fans of the series! Three little dinosaurs wake up from sleeping on their mother’s spiny back. But their mother is still asleep. She doesn’t move when they prod and pinch her. She just continues to snore. They try tickling, clawing and elbowing her. More snores. Then they roll her over and slide her down a hill! Snores. After rolling down and splashing into a muddy puddle, she just might be waking up. But they won’t be sure until those snores turn into ROARS! Simple and perfectly paced for a toddler audience, this book has the appeal of dinosaurs mixed with silliness and giggles. The little dinosaurs are mischievous. Children will delight in the thought of rolling a mother down a hill and into mud. And the reaction at the end is just loud and surprising enough to cap off this fun romp of a book. Appropriate for ages 2-4, this book will be welcomed by young dinosaur enthusiasts and should not snore for long on any library shelf. Not with little dinosaurs around! Zach is in rehab with no memory of how he got there. His therapist tells him that he was going through alcohol withdrawal so severe that he could have died, but all of the other details remain hidden in Zach’s mind. As Zach goes through therapy, learning from therapists and others going through rehab, he learns to feel emotions again even though he longs to stay in the cocoon of amnesia that he has built. This powerful novel shows the unpeeling of denial and addiction to reach the essence of memory and humanity. This book reads like a poem, a prayer. The language is by turns languid and thoughtful and then raging and taut. Readers are not spared from the emotional onslaught of recovery and truth as Zach slowly realizes what has happened to him. The prose is an inner dialogue, a wandering but purposeful journey through memory. It is a stream of consciousness that flows like a raging river, cleansing and correcting as it goes. Zach is an amazing character who even when in denial and doubt, shines like a beacon. He is strong in the face of such overwhelming change and brave as he faces his demons. This is a book filled with such truth and honesty that it is searing and painful to witness. It is a book that will capture teen readers and not let them loose even when they finish the novel. Highly recommended, this book is appropriate for ages 15-18. Also reviewed by La Bloga and The Picnic Basket. In this bilingual book, a boy tells the readers everything he is thankful for as he goes through his day. He starts his day by being thankful for the sun that wakes him up. He is thankful for things in nature, people in his life, music and food. At the end of his day, he is thankful for his soft pajamas and the crickets in the garden. This book is thoughtful and joyous look at life and everything small and large that we have to be thankful for. There is a thoughtfulness in Mora’s writing that shows the depth of the gratitude for each item mentioned. I particularly appreciate the fact that nothing the boy is thankful for takes money to achieve. We can all be thankful for these passing moments in our lives, making this a universal book. Parra’s illustrations done in acrylic have a timeless and rustic feel, often showing signs of wear on the paint that add to the vintage quality. The young boy is multiracial adding another layer of depth to the story. Highly recommended, this book could be used in classrooms to lead gratitude exercises. It also makes a great conversation starter for families about what is most important, even the smallest things. At the same time, for younger children it is a wonderful quiet book about a boy’s day and its details. Appropriate for ages 3-6. Also reviewed by HappyNappyBookseller, Latin Baby Book Club, A Chair, A Fireplace and a Tea Cozy, and featured on 7-Imp.